Aleksandr was born in 1987 in Kishinev. He demonstrated his musical talent when he was 6 years old. A year later he become a piano student in a music school. Now Aleksandr studies Information Technologies, he has his show on a TVC21 TV channel, but he knows that later he will devote his life to the music. He is a Prize-Winner of the Elata Star International Pop Music Festival in 2008, this year he is a part of the national team for the Golden Voices International Pop Song Contest. Alina has been studying piano at a Music School in Bucharest. She is a member of the musical ensemble Miracol. She represented Romania at the Junior Eurovision Song Contest in Hasselt, Belgium, where she came fifth. Some festivals and contests: Tip Top Mini Top TV Children’s Contest, Bucharest (Grand Prix); Ti Amo’03 International Music Festival for Children, Romania (First Prize); Delfinul de Aur`03 National Festival for Children, Romania (First Prize); International Nile Song Festival for Children`03 –Cairo, Egypt (Special Prize of the Jury); Djurdjevanski International Children`s Festival`05, Banja Luka, Bosnia & Herzegovina (Prize for the best performer); Slavonic Bazaar`05 Children's Festival (Third Prize); The Golden Cross`05 International Singing Contest, Malta (First Prize); The Dwarf`06 International Song Contest, Nurrenberg, Germany (First Prize). Andrey was born in Gomel in 1986 г. He studied singing in the Palace of Children and Youth . Two years ago he became a soloist of the Gomel Philharmonic and Pop Music Orchestra . Now he is studying at the Moscow State Technical University. Last years he was awarded an honorary diploma by the Regional Committee of Gomel for his great contribution to the popularization of Belarus song. He was also awarded a Prize for young talents by the President of Belarus. Competitions : Songs from our parents ' youth '05 ( First Prize); International Pop Music Festival '09, Chernovtsy , Ukraine ( Second Prize ); Slavonic Bazaar International Festival of Arts, Vitebsk' 09 (Second Prize). Andrey Vladimirovich Berestenko was born in 1972 in Nalchik (Kabardino-Balkaria), Russia. He studied choir conducting in the Music School in Novorossiysk and academic choir conducting at the Saratov State University . Since 2002 till now he is a soloist of the Grand Prix Saratov Regional Social Fund for Culture Developing and of the Art-Luxury Production Center . He sings with several Russian orchestras. He won several national awards, such as the Saratov Governor Award in 2001, the Award of the Ministry of Justice in 2002, 2005, 2007 and 2008, a Silver Decoration and the Title Saratov Charity Man in 2004 . He is a winner of the World Delphi Games and of the Honorary title Russian Golden Voice. In 2009 he sang together with Boney M at their concert in Saratov. Elitsa was born in 1992 in Troyan. She has been interested in music since childhood. Later she starts singing in Voices Studio. She is interested in fashion and riding. Now she studies hotel management in Troyan. Last years she was a part of the band of BG Radio. She has been awarded national and international prizes in France and Germany. Since the beginning of year, she is a student in Petya Buyuklieva's master class in singing. On the 11 th of April Elitsa reached the finals of the New Wave Contest, which has been broadcasted on national Bulgarian TV . Eva started her career on the stage of the Mandala Musical Theatre, where she played in many musicals. She studied acting, singing and dancing at the Budapest Operett e Theatre. Now she studies singing with Andrea Malek, one of the best singers in Hungary. She worked as a TV presenter in the 9STV. She sings pop jazz, pop hits, musical parties and authors' songs. Festivals and contests: Carpathia International Song Festival '07, Poland (Special Prize); Castelanii Music Festival '07 , Romania (Second Prize); Musical Wettbewerb '07, Austria (Second Prize). 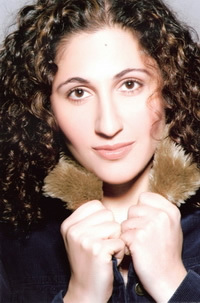 Farida was born in a musical family in Baku in 1984 . She lives in Uzbekistan . In 1999 she reached the finals of the Voices of Kyzyl - kum Singing Contest, after she became a soloist of the popular teen band Sound Barrier . She is famous for the fact that she never sings in playback. In 2008 Farida become a soloist of the Atlas Studio , grabbing audience' s hearts with her lyric traditional songs and R&B and rock teen hits. She sings in Russian, Uzbek, Azerbaijan and English. Farouk was born in Sivas in 1977. His father named him Farouk which means Fighter of Justice. At the age of 17 Farouk took himself to another level and wanted to chase his dreams by studying art. He entered the Samsun University. While studying art, he took extra courses on graphic design, photography and ceramics. Farouk believes that the artist must combine the arts. He published his first story in 1998. He designed many posters and book covers. He recorded 3 short movies. He has solo exhibitions in Istanbul, Izmir, Bodrum and Samsun. Now Farouk lives in Istanbul where he studies at the Meltem Taskiran and Sezer Pop Music Academy. He played in the musical Competitions, written by Mujdat Gezen, a well-known actor and a performing arts teacher. He performs in pubs and clubs. Farouk works with Cihan Sezer, one of the most famous Turkish composers, well known in Europe. 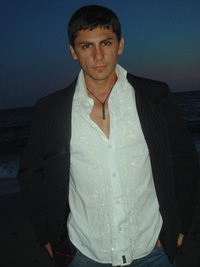 Georgiy Valerievich Pilia was born in 1980 in Gagra, a city in the Georgian Black Sea coast. Hе has been studied in a Music School in Gagra. He became famous when he was 7 years old for recording a song for the National Television. He has won several national contests. He studied law in Moscow and has worked as a lawyer but finally his love towards music won the competition. He studied singing with the famous pedagogue A. D. Rivkind and devotes his life to the music. George loves to sing popular jazz standards. 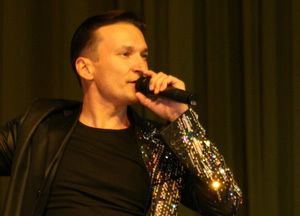 Many authors’ songs are the result of his collaboration with the arranger Oleg Aryaev. George participates in many contests. He won the international competition The Wind of Dreams under the patronage of Alla Pugachova. He participates in the project Jazz Parking that is very popular in Moscow. Ionut Laurentiu Ungurianu was born in 1986 in Vaslui. He became interested in music during his childhood, inspired by his favorite artists - Michael Jackson and Boyz II Men. He sang together with some of the many popular Romanian artists like Mihai Traistariu, Paula Seling, Directia 5, Jasmine and Nico. He signed recently a contract with Cat Music/ Media Services for filming a video of his new song. This year’s autumn tour includes hometown shows in 40 cities in Romania and Moldova. In 2009 he won the Radio Romania Prize for best debut. Festivals and contests: Gaudeamus Festival’08, Brasov (Special Prize of the press for Best live presentation); Romania Top Hits’08 (Second place for best composition); Florentin Delmar Festival’08 (First place); Youth Festival’09 of Costinesti Radio (First place); Dan Spataru Festival’09 (Special prize of the jury). Iryna Alekseevna Patapovich was born in 1989 in Belarus. She started her creative activity at the age of 7. After finishing music school as a pianist she studied in Brest Music College (variety singing). She is a winner of the Viktoria National Song Contest in Minsk (in 2008); a winner of the New Voices Contest of the Belarusian Channel ONT (in 2009). Since december 2009 she is a main singer in President Orchestra of the Republic of Belarus. 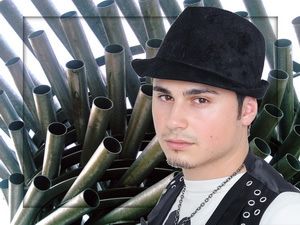 IAN JAMES VELLA with stage name J Anvil was born in 1975 in Attard. His career in show business started as a dancer. By the age of 11 he was already dancing modern jazz, later started to learn Latin American and ballroom dancing. At the age of 13 Ian James was chosen to represent Malta in the Belgrade Eurovision, on the occasion of World Children's Day. Together with his partner in dance and in life, Nadine, he also participated in many dancing competitions and festivals. Ian and Nadine won the title of Malta dancing champions which they held for the following 5 years. Four years ago Ian decided to devote himself to the music, participated in Malta's Song for Europe Festival and won the honor of represent Malta in the Eurovision Song Contest 2005. He took part in various musicals as a dancer. He had the opportunity to present, produce and host many famous programs on all local stations in Malta. Last summer he had the opportunity to present the summer famous programme Pjazza. Jonas started singing at the age of 8, participating in different choirs. At the age of 13 he had his first contracts for singing at private parties and events. He traveled to Western Europe to continue taking classes and perfecting and educating his voice. 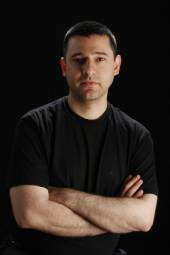 He has taken classes with professors like Miriam Molina, Annеlise Skovdman, Jana Jonasova and Franco Iglesias. He studied Piano at the Musical Conservatory of Tucuman, Argentina. After that he studied lyric singing with Vivian Goldenthal at Jerusalem Academy of Music. In 2008 Jonas met Fabian Farhat, a recognized composer and musical producer and winner of 2007 Latin Grammys, who wrote for him 13 wonderful songs for a CD. The unique and phenomenal combination between the rare vocal abilities and the undisputed passion for performance, specified Ori as an utterly one-of-a-kind singer. She was tremendously affected by the great French chanson singer Edith Piaf. Ori sings Piaf’s most famous chansons in her own special way. Performing all over Europe, Ori sings in Hebrew, English, French, Spanish, Arabic, Yiddish, Romanian & Italian. Singing from the age of six, Ori has participated in several contests. Ori has also an university degree in languages and in acting arts. Alongside the fact that Ori is a well-known artist in Israel who performed on the most honorable stages in front of the Israeli Prime Minister, the Israeli President and many other V.I.P.'s. 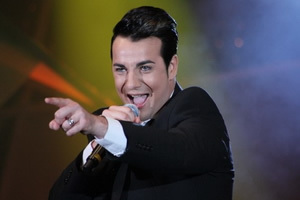 Petar was born in Varna in 1981. 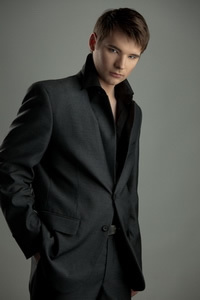 He has been interested in music since he was 7 years old, as a singer in the Choir of Varna Boys and Youths. Since 2000 he has started a solo career with Studio Da. He participated in many festivals, competitions and TV shows. 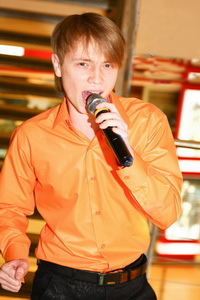 In 2006 he has performed in Music Idol and he got the chance to sing in a duet with Filip Kirkorov. He has also participated in Eurofest 2009 in Macedonia, where he got the Audience Award, making everyone stand up. In Cypriot Golden Melody International Song Festival he got the sixt place. 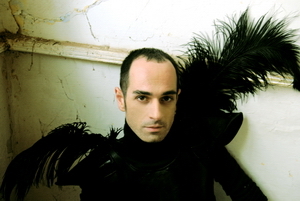 Petar Ivanov is a member of the group The Heroes which performs songs in a pop-opera style. Petar likes to write the lyrics and the music for himself. Priscilla began to study violin at the age of 8. When she was 12 she formed the group Wing, performing at parties, galas and festivals. At the age of 14 she began to take singing classes. She has an excellent experience in TV programs, performances and interviews in TVE, Spanish National TV, the Canary Islands TV etc. Now she studies music and works on new songs with the label Tabaiba Records. Festivals and competitions: La Laguna Music Awards Festival, Spain (Second Prize), Canarias Suena Competition (finals), Euro Singers Festival’08, Spain (Discovery Аrtist Prize), Young Promises Festival’09, Spain (finals), Summer Festival’08, Lithuania (guest). Rolf was born in 1982 in Tallinn. He has studied in the Music School of Tartu. Rolf has a successful career as a singer in musicals and operas, staged in Tallinn City Hall and Tartu Theatre Vanemuine (Phantom by Maury Yeston, Fame by Steven Margoshes and Jose Fernandez, Cinderella by Rodgers and Hammerstein II, Cats by A. L.Webber, West Side Story by Bernstein and Sondheim, Miss Saigon by Boublil and Schonberg, Don Quijote by Jules Massenet etc.). He often participates in TV shows and programs. He participated as a back vocal in Estonian and Lithuanian Eurovision Song Contest. He has 3 albums, one in collaboration with Nele-Liis Vaiksoo. Festivals and competitions: Estvocal National Contest for Singers, Tartu (Third Prize), Raimond Valgre Festival’02, Tartu (First Prize), Fizz Superstar National Contest for Singers in Estonian TV3, Amberstar International Singers Contest’06, Jurmala, Latvia (First Prize). Rovshan Jivishov was born in Gazakh district in 1984. When he was 6 years old, he won the Karabach Bul-Bul Prize on a national children competition. Later Rovshan has been invited by the Azerbaijan Ministry of Culture to study in Baku Music College. After finishing the college he entered the Faculty of Variety Art and Mugama (traditional art of singing) of Azerbaijan State Art University. 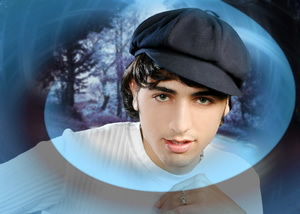 He is famous with his song Far-off Days that is a part of the Azerbaijan National Television fund. Competitions and festivals: Gold Key’99 Television Competition (First Prize); Alaturka’00 Folklore Festival, Turkey (Grand Prix). Yulia lives in Banska Bistritsa. She has an active singing career. During the last three years she participated in several TV shows and music competitions and festivals held in Slovenia, Russia, Germany, Moldova. In 2008 she won the Second Prize at the Pop Love Ok Authors' Song Festival in Ryazan, Russia. The same year she recorded an album with the Slovenian Rock band Stranci.